Did you know that Barrett-Homes Contractors is an Armstrong Certified Architectural Specialty Contractor? Wood Ceilings & Walls can add warmth and beauty to your project. Do not trust your project with just anyone. Barrett-Homes has the experience to ensure your project is completed correctly. 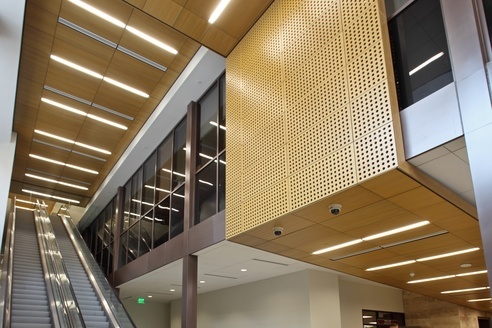 We have installed Wood Ceilings & Walls from Armstrong, 9 Wood, Rulon, and others.